Grew Up… prince of the Emishi people, a once great tribe now reduced to a single village. As the prince of a shrinking tribe, Ashitaka was raised with special care, guided by both the village elders and their wise woman, the Oracle. Consequently, Ashitaka has become a young man with both formidable leadership skills and a strong concern for others. Living… not much longer, it seems. When his village comes under attack by a demon from the nearby forest, Ashitaka kills the beast, but not before gaining a demonic wound that slowly poisons him. Now exiled, he must travel west to meet what evil awaits him. Profession… last prince of the Emishi people. The most able-bodied young man in the village, Ashitaka has grown up so that he may one day protect his people. However, now that the Oracle tells Ashitaka that his cursed wound will kill him, he must go west to see if there's any way to lift the curse and save his life. Interests… helping his village. While Ashitaka has a variety of talents – archery , leadership, and martial combat among them – he has developed all of these skills with the aim of helping his people. In his spare time, Ashitaka often hunts with his red elk and best friend, Yakul. Relationship Status… single, for now. As an attractive young man admired by his village, Ashitaka undoubtedly has no shortage of female admirers. However, so far no one has caught Ashitaka’s eye. 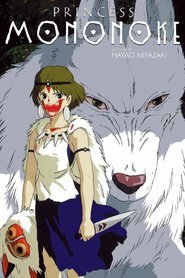 Yet at the sight of San, a girl raised by wolves and whom the locals dub "Princess Mononoke," Ashitaka is instantly drawn, out of both attraction and curiosity. Challenge… finding a cure for his curse. This is no simple task, as Ashitaka seeks to confront the evil that caused his wound and “see with eyes unclouded by hate.” Whether doing so will cure him is beyond Ashitaka to say. Ashitaka's popularity ranking on CharacTour is #428 out of 5,000+ characters. See our top-ranked characters and read their profiles.